Recently, I went on a business trip with my parents to Taiwan. 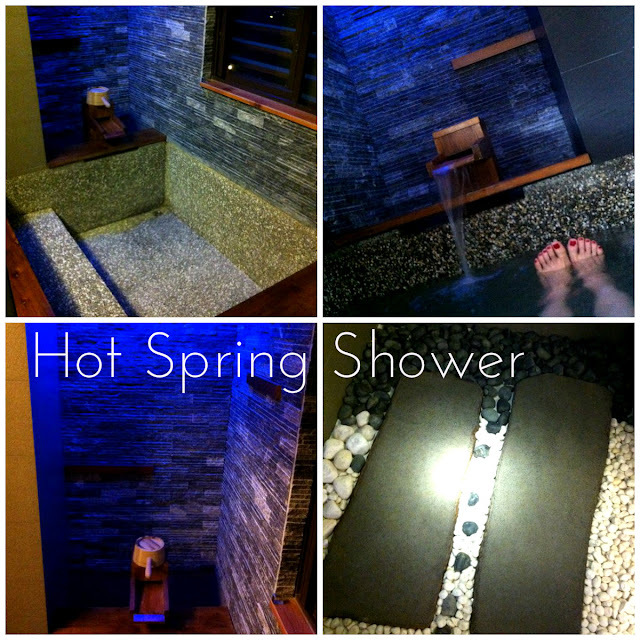 We stayed at a Boutique Hotel near the top of a Hot Spring Mountain. It was called Golden Hot Spring Hotel. It is located at Beitou District and was elegantly beautiful. The walk way into the hotel rooms was very modern. The blue lamp lights hanging on the top of the ceilings, the white interior and glowing effect of the whole place creates a surreal dreamlike landscape that helps to relax hotel guests. It is designed for an escape and deep relaxation away from the city. Each individual room were designed with a different theme. The hotel manager was really nice to show us around the hotel and a few different rooms, before we decided on the Victorian Room. The bed frames were opulent and luxurious. The wall papers were slightly Gothic just the way I like it. Overall, the room was lavishly decorated in a Modern Victorian style. The special feature about this Hot Spring Hotel is that each individual room has its own Hot Spring "Tub" area whereby, the Natural Yellow Hot Spring Water from the mountains is pumped in directly into the room's hot tub. The water smells a little weird to me, I think it may smell a little like Sulphur. This area of the wash room is just half of it, the other half of the wash room is an actual shower, whereby you have your proper shower. The interior was very nicely designed, even the bathroom floor was made out of stones. It has a very natural feel as though one is showering in a garden. So, where did all the natural hot spring water come from? That was a question that crossed my mind. The next morning, my parents and I decided to climb to the top of the mountain to check it out. We went up to the top of Qixing (Cising) Mountain, also called the "Seven Star Mountain". It is located on the Datun Volcano Group and is the highest mountain at the rim of Taipei City and Taipei Basin. 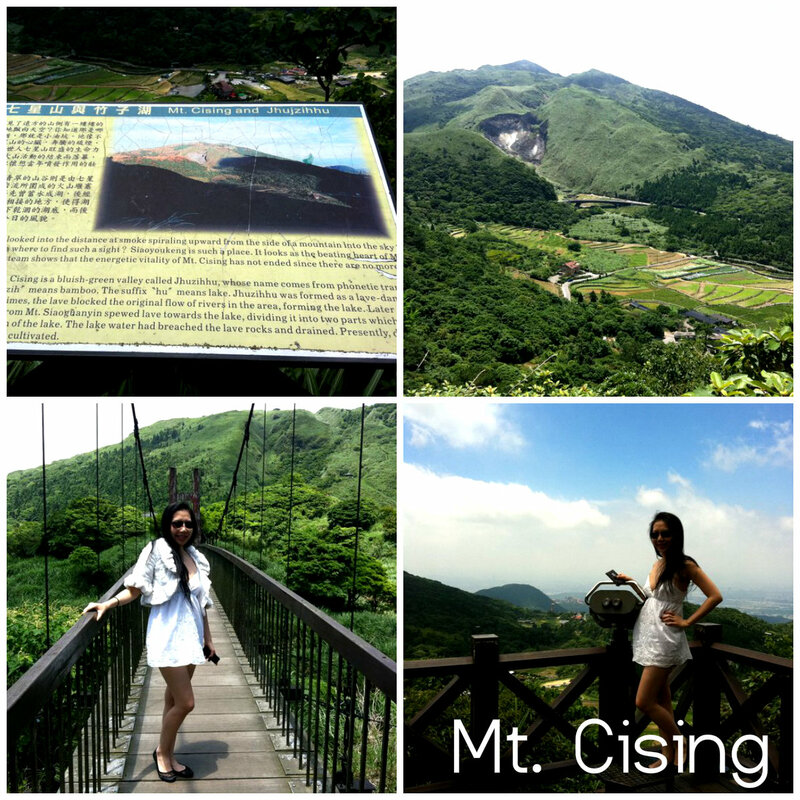 It is also the highest dormant (inactive) volcano in Taiwan, located at the centre of YangMingShan National Park. Its main peak is 1,120 metres above sea level. It erupting about 700, 000 years ago, and left a crater at the peak, but soon it eroded into seven small peaks due to post-eruption erosion, hence the name "Seven Star Mountain". It was really windy up on top of the mountain. There are a few "hawkers" at the top, just like Cameron Highlands in Malaysia, whereby you can feast on their freshly grown mountain vegetables. At the top of the mountain, there's a few walking paths, bridges and also a peak viewing area. 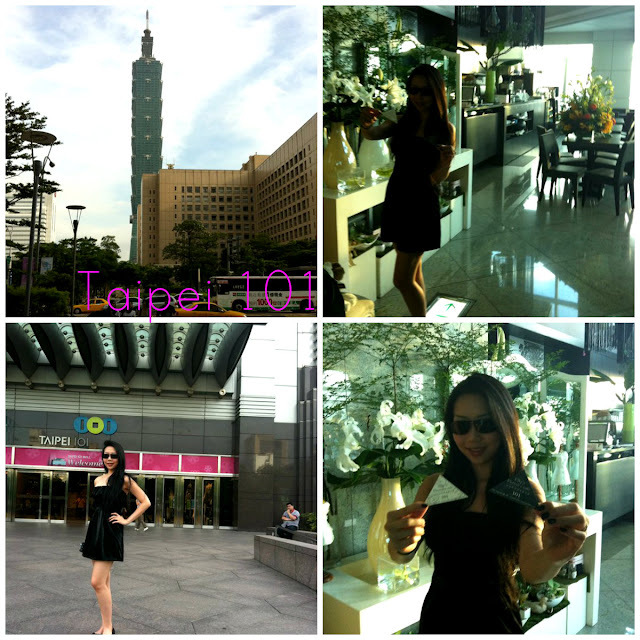 Taiwan isn't complete without visiting their famous Taipei 101, formerly known as the Taipei World Financial Centre. It is their landmark skyscraper located in Xinyi District, Taipei, Taiwan. This building was once the World's Tallest Building in 2004, before the opening of the Burj Khalifa in Dubai, in 2010. Taipei 101 is known for its ECO-Friendly building technology. They won the LEED (Leadership in Energy and Environmental Design), Platinum certification, the highest award as an Eco-Friendly largest green building in the world. 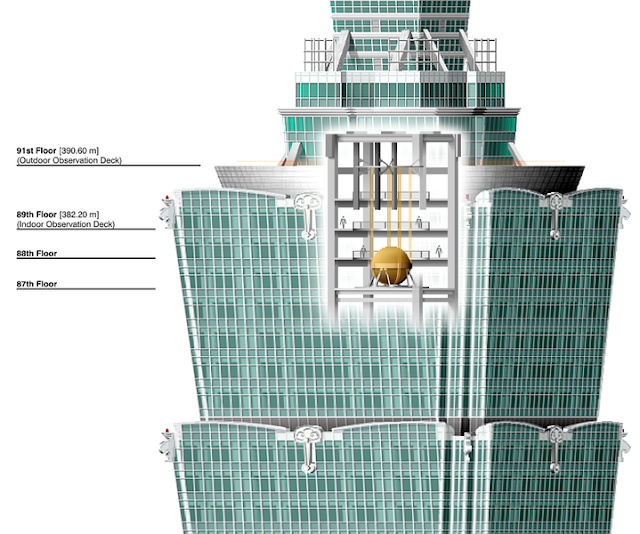 Taipei 101 is also designed to withstand typhoon winds and earthquake tremors which was common in the Asia-Pacific. The 101st Floor is home to a private VVIP Club named Summit 101. But no information about this club has ever been made public officially. It was a very private club only made known to the very rich tycoons in Taiwan. Taipei 101 also features an indoor Observation deck on the 89th floor, and an outdoor observation deck on the 91st floor. Both offer a 360 degree views of Taiwan city. Tickets may be purchased on the shopping mall 5th floor or in advance through the Observatory website. The ground levels of Taipei 101 is filled with luxury shopping brands, while the middle levels are filled with offices, and top levels are filled with restaurants, bars, and private clubs. 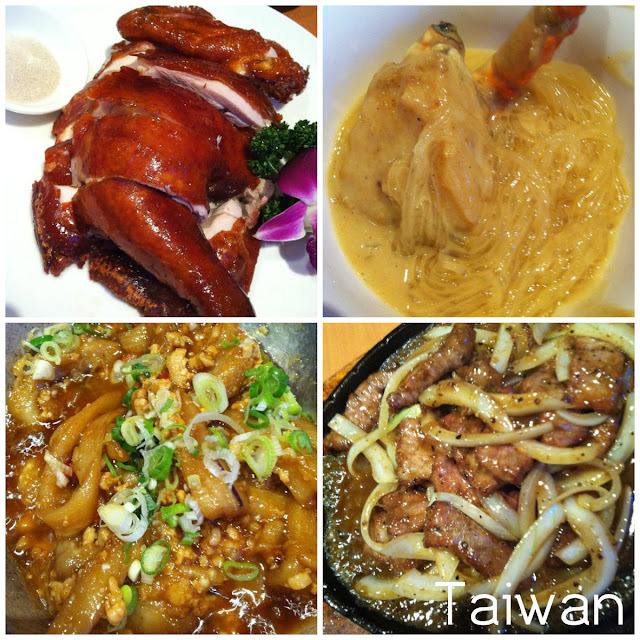 Taiwan's food is really delicious. It may be a little oily, compared to our Singapore food, but really tasty. Mt favourite dish was their Curry Crab Glass Noodles. Absolutely fantastic! So, its a business trip after all, we went to a few bottling factories and boxes factories. 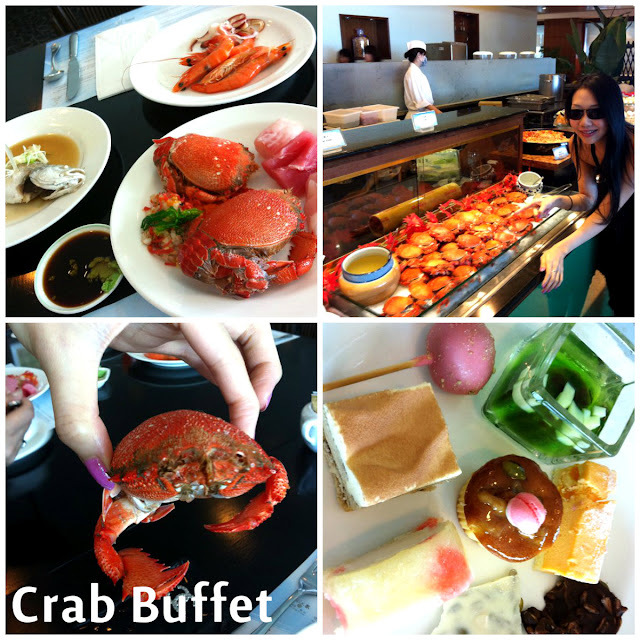 I went to Taiwan Tower top level to have a Buffet. Their seafood selection was fresh and yummy! I can see the whole of Taiwan from the top level. 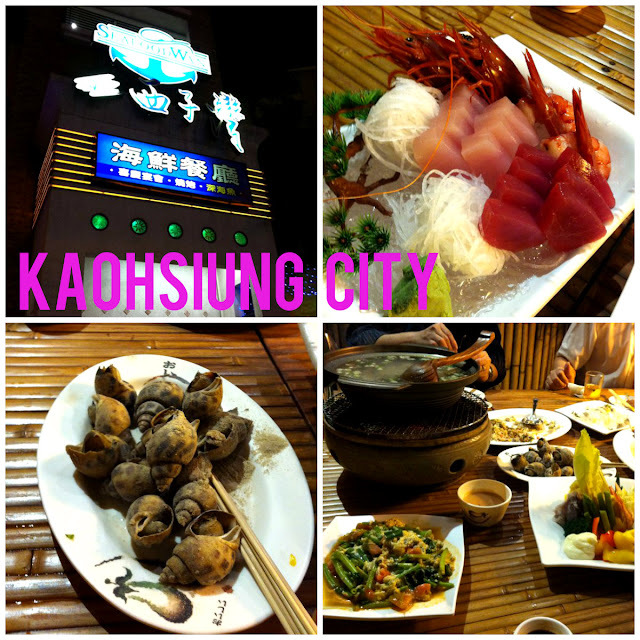 I went over to Kaoh Siung city for dinner too. 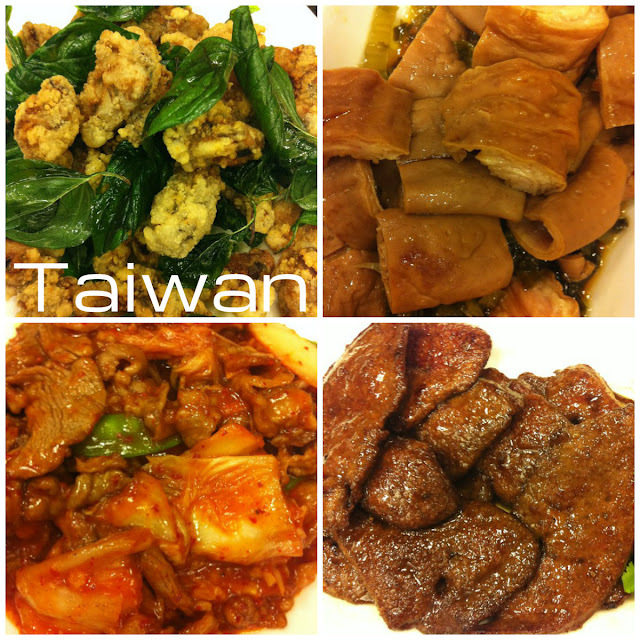 Food and drinks in Taiwan is really really cheap. A huge feast at a really good restaurant would cost only around S$100 - S$150 for around 6 people. I also visited this shopping street, called the "Tai Tai" Street. This is where all the really wealthy housewives shop and have their High-Tea all day. 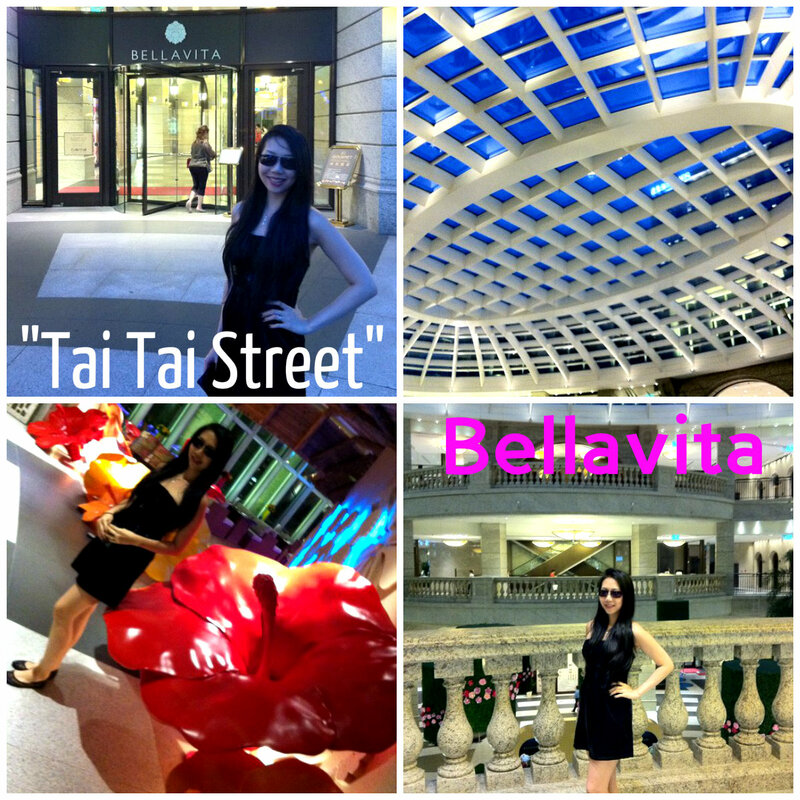 There's this particular shopping centre called Bellavita, which was opened by a very rich Tycoon. He opened it for his daughter to run the place. This particular building is like the "ION" of Orchard Road. It is the most prestigious building there. All the top luxury brands are located in this building. The interior furnishings were very well done. I spotted a Joel Robuchon (French Fine Dining) inside this shopping centre. 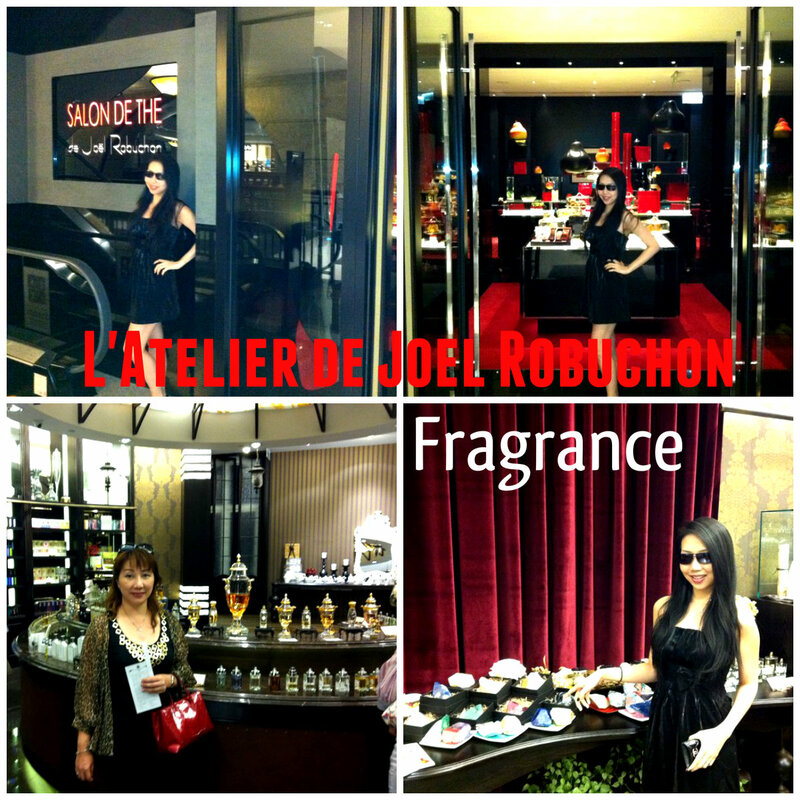 Joel Robuchon is my favourite French fine dining restaurant as it is classy yet ultra modern, and all its outlets are designed in my favourite colours - Red and Black. We also saw this fragrance shop that sells antique perfume bottles. You are able to customize your own fragrance there. 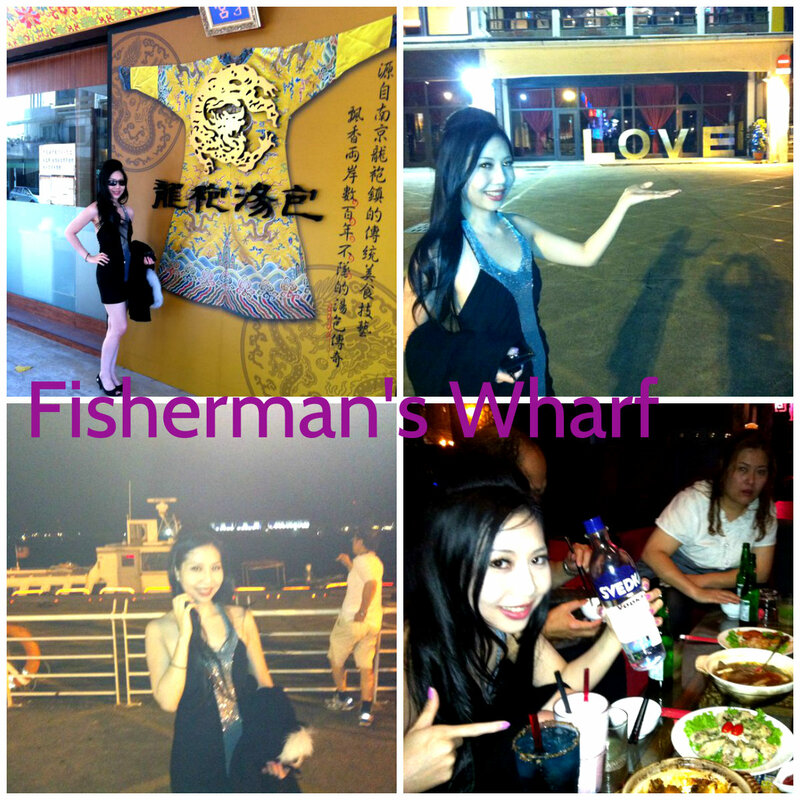 In the night, we went to Tamsui Fisherman's Wharf for dinner. It is a very scenic spot at the western top of Tamsui District, New Taipei City, Taiwan. Its predecessor was the "Tamsui Second Fishing Post" on the right bank of the Tamsui river estuary, an important fishing harbour in the early history of north Taiwan. This place is famous for its beautiful sunset and fresh seafood. The food served was really cheap, and it has a very good view of the sea too. The clubs and bars there were up-to-date and their bar snacks were delicious. 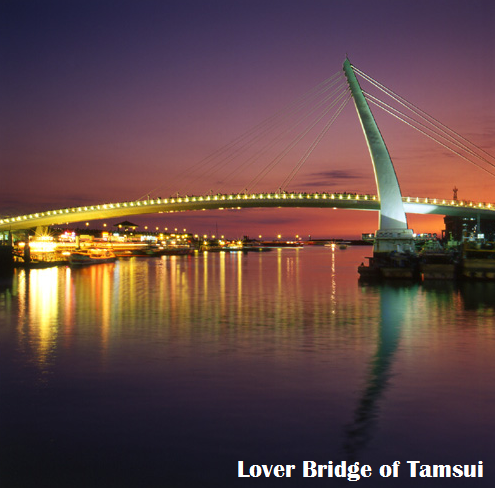 This place is famous for their Lover Bridge of Tamsui. It is a white coloured Cable-Stayed Bridge. It was named the Lover Bridge the bridge was opened on February 14, 2003. It took me about 3 minutes to cross the 196 meters bridge to the other side. This place is suitable for the romantics. 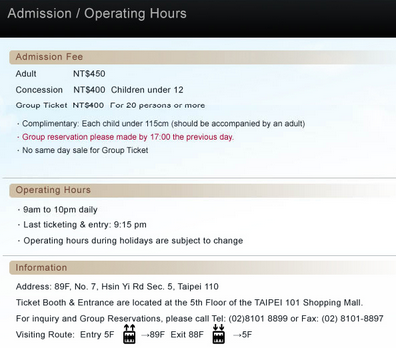 Nearest Taipei Metro Station: Tamsui Station, then transfer to Bus Red 26, 836 or 837. 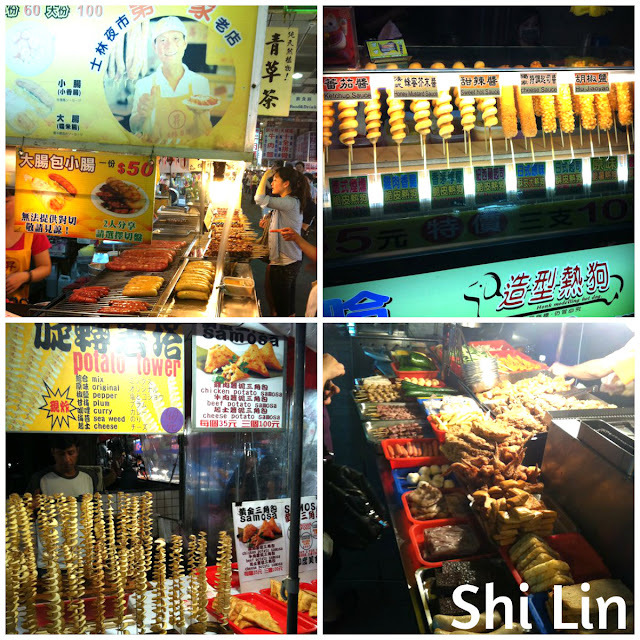 Another must-visit in Taiwan is their Shi Lin Night Market in the Shilin District of Taipei. 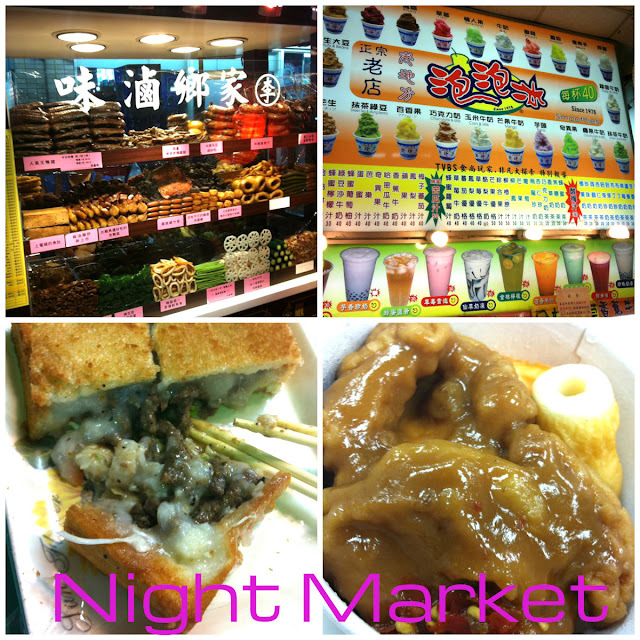 It is the biggest and most famous night market in Taiwan. The place is filled with mostly food vendors, apparels stores, video arcades and karaoke (KTV) stores. There's also a parking lot of around 400 cars. Their peak hours are between 8 to 11am. Business is doing so well that this market usually operates way past midnight, it closes at around 1 or 2am. This is where I bought most of my Fibre Eyelashes. It is cheaper than Far East Plaza in Singapore. Taiwan Barbie Doll Lashes are of high quality, yet extremely cheap. 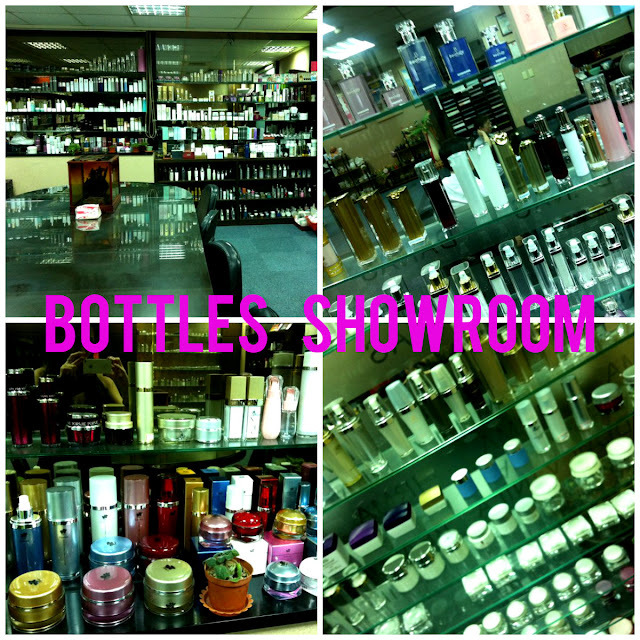 Most stores from Singapore take their eyelashes supplies from Taiwan and Thailand. 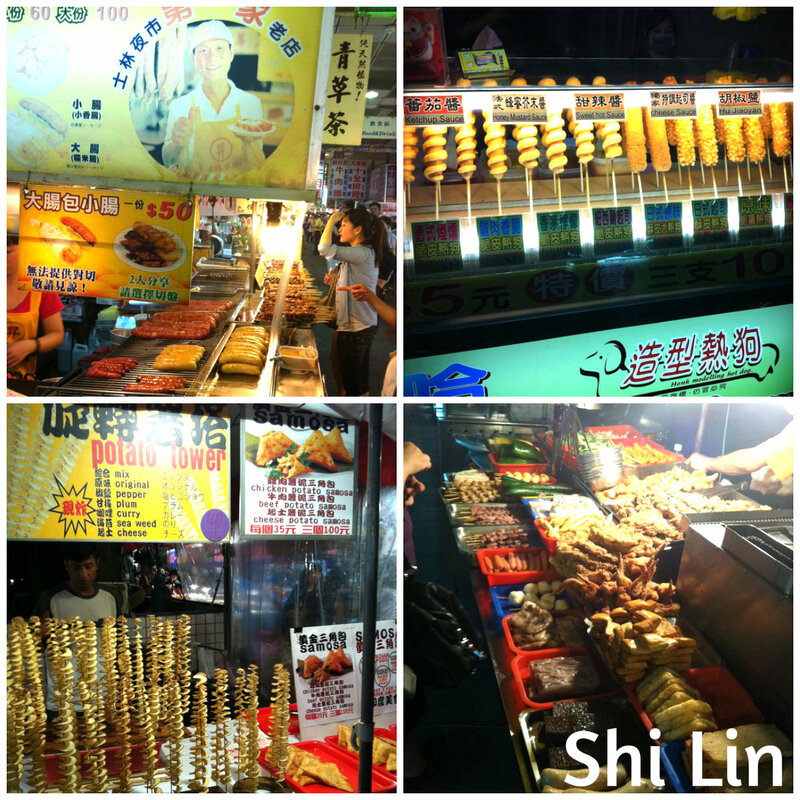 I love eating their Potato Tower, we have this in Singapore's night market too, but somehow it tasted a little nicer in Taiwan. Their Bubble Tea stores offer different coloured Pearls, and they really have a very wide range of different Ice Slush flavours to cool my body down as I explore their little stores. The nearest Taipei Metro station is Jiantan Station on the Tamsui Line (Red Line). Hi Sara & Lora, just found your blog and impressed with your eagerness to discover many parts of the island’s natural beauty. 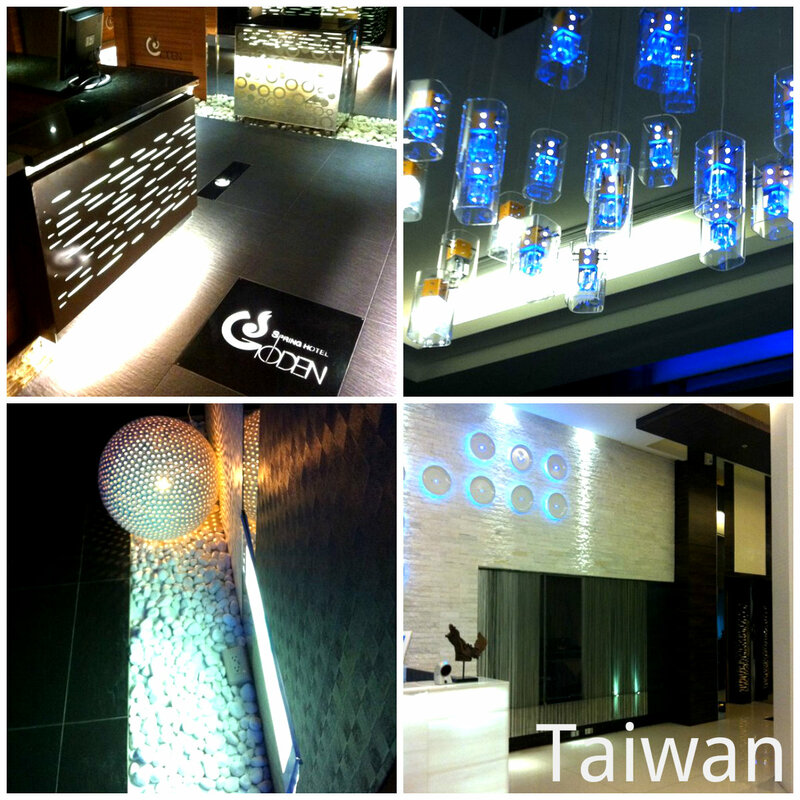 Like our passion : to introduce guests to a luxurious Taiwanese hot-spring culture. Can't wait to read more of your luxury travel stories..:) Cheers!